Discussion in 'iPhone and iPad Games' started by wren001, Nov 30, 2016. **** SPECIAL PROMO: download TODAY and enjoy 7 days of MEGA FREE gifts! 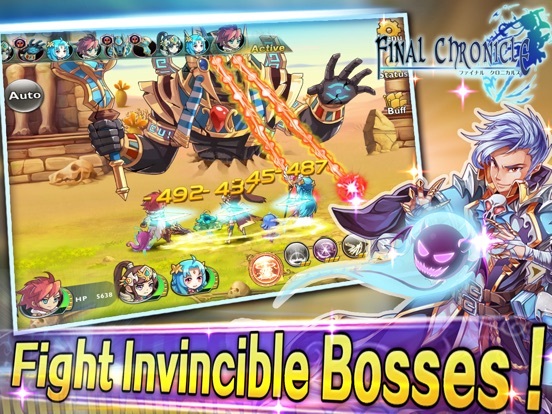 **** A classical JRPG / RPG (Role Playing Game) made for mobile devices! Embark on the journey of epic fantasy! - Get it for FREE today! ■ SIMPLE & ADDICTIVE Simple and excitingly addictive turn-based combat system - tap skills for your heroes to kick enemies butts! 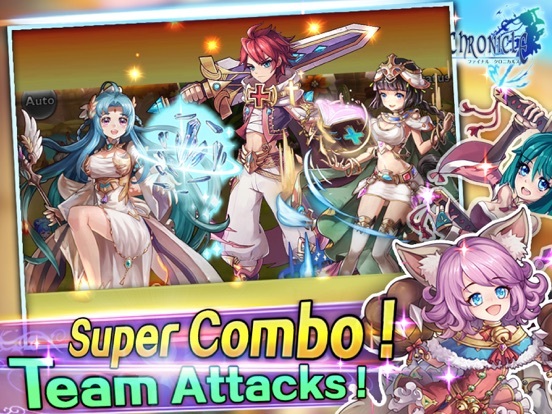 ■ BEAUTIFUL HERO & HEROINES Create a formidable party with handsome heroes and beautiful heroines! 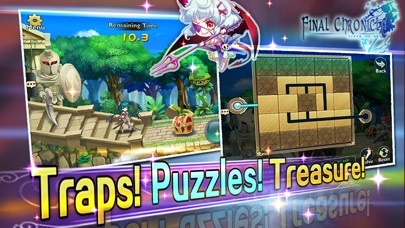 ■ TREASURES, PUZZLES, TRAPS, SUPER BOSSES Collect treasures, solve puzzles, avoid traps, and fight invincible super bosses! ■ KEY FEATURES - Enjoy an epic story told in 6 chapters! - Hundreds of items, skills, enemies, quests! 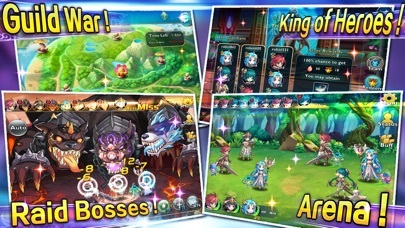 - Save Fairy Pets from Raid Bosses! - Fight Guild Dungeons and Guild Wars with your friends! - Send your heroes and followers on Bounty Quests! - Battle other players for supremacy in the PVP Arena! - Explore differing game play modes and collect awesome prizes! - Enjoy FREE gifts, treasures and login prizes every day! Do you like fantasy RPG games? Do you want to play one on your favorite phone or tablet? Don't wait - download FREE today and get 7 days of MEGA FREE gifts! 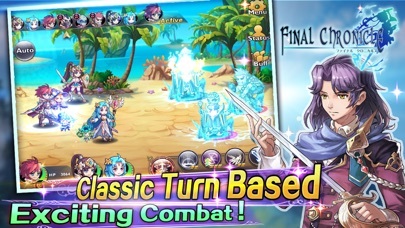 A classical JRPG / RPG (Role Playing Game) made for mobile devices! Embark on the epic journey! - Get it for FREE today! Simple and excitingly addictive turn-based combat system - tap skills for your heroes to kick enemies butts! 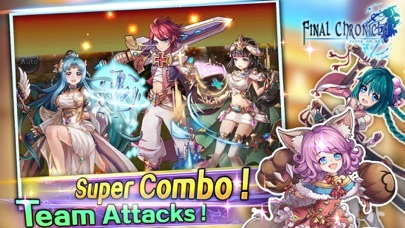 Create a formidable party with handsome heroes and beautiful heroines! 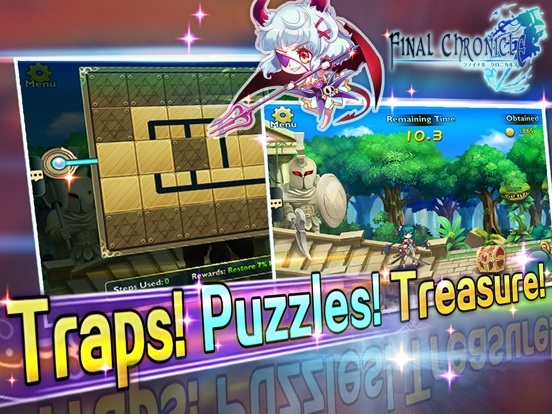 Collect treasures, solve puzzles, avoid traps, and fight invincible super bosses! - Enjoy an epic story told in 6 chapters! - Hundreds of items, skills, enemies, quests! 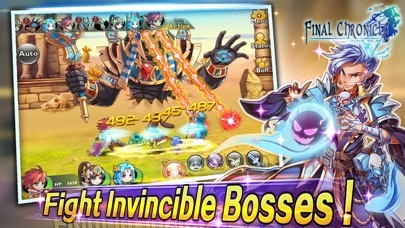 - Save Fairy Pets from Raid Bosses! - Fight Guild Dungeons and Guild Wars with your friends! - Send your heroes and followers on Bounty Quests! - Battle other players for supremacy in the PVP Arena! - Explore differing game play modes and collect awesome prizes! - Enjoy FREE gifts, treasures and login prizes every day! Do you like RPG games? Do you want to play one on your favorite phone or tablet? Don't wait - download FREE today and get 7 days of MEGA FREE gifts! Youtube video link fixed in the post above. We would appreciate any feedbacks and suggestions from the veteran players here on Touch Arcade! but how come iPhone download is much bigger than Android? It's because they use different compression methods. 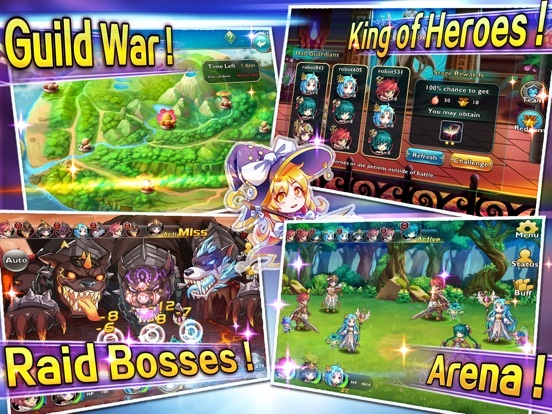 The iOS version is compressed into format that can be directly read into game memory for much faster loading and smoother animations gameplay. Has anyone who downloaded and played the game as any feedback or suggestions on how to improve the game? The gameplay itself is actually pretty fun. There are numerous specializations per character, each specialization comes with a series of active and passive skills. Gameplay is based on the typical energy consumption areas, which are side scrolling areas (with traps that can consume hp if triggered) and a set number of encounters represented by enemies on the side scrolling view. 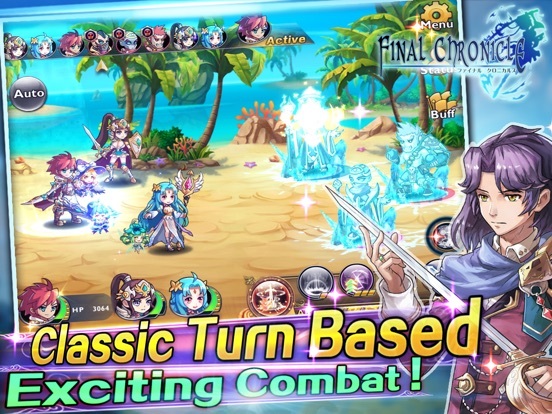 Once touched the game turns into a typical turn based JRPG with characters taking turns. As opposed to a mana system, characters can use default attacks to build up action points (I forget the real name used) to them use skills that cause more damage, effects, healing, etc. As yet u play through the storyline, new characters are opened up which add additional options to your party composition. This is important when fighting certain raid bosses (which is a slick system around helping to default stronger bosses) as certain builds are more effective against certain bosses. There is an equipment system with the ability to upgrade, a pet system with the same, several side quests for equipment and materials, and all of the things you would expect for a game that barely gives you enough to strengthen your characters without spending real money. I played for a few days until I got to the point where I felt I was spending more time waiting to play than playing, which is when I sign off of these types of games. For those with more patience, there is a pretty well developed game here with a lot off opportunity to grow and expand. I certainly enjoyed the attention to detail, variety in skills and builds, and pretty decent storyline as pluses. If they had an option to buy unlimited energy I would come back in a heartbeat. Thanks for your valuable feedback, Talaen. Use my invite code and get free bonus Potions and Gold! Man, everything looks and plays super awesome so far. Then you get to seeing there's a VIP system. Ug, but the game is solid so far so I'll overlook it. 14.99 AIP currency subscription. I mean, do you guys really think you offer the content and polish of a AAA game? I can get a cheaper monthly sub to FFXIV. Too bloody bad, too. I'll just keep this on the backburner and avoid purchases until you guys wake up. Don't ruin your game by thinking you can reinvent the wheel when it comes to costs, because it's pretty damn nice from a JRPG fan. Thanks for your valuable feedback, unfilteredJW! Game is interesting so far, lets see how badly the in app effects things. In the meantime feel free to use my code for free items when prompted during the tutorial a3enyl or a3eny1 (its not clear). Thanks for your valuable feedback, hydrodj! How's the price of the monthly subscription now? Haven't even tried this yet because of what I've heard about the prices in comparison to other games. How's the freeplayability? Many of the game's top player has not had to spend cash yet. The games has lots of way of earning free hard currency free premium items. Purchasing does offer a shortcut. Give it a try and let us know what you think!